I love crafting and find it so therapeutic to make cards but I often get stuck for ideas! 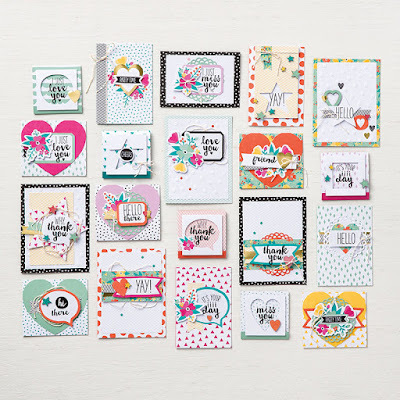 Well not anymore, the fabulous people behind Stampin Up have come up with kits which have all the required materials needed to come up with some stunning designs. 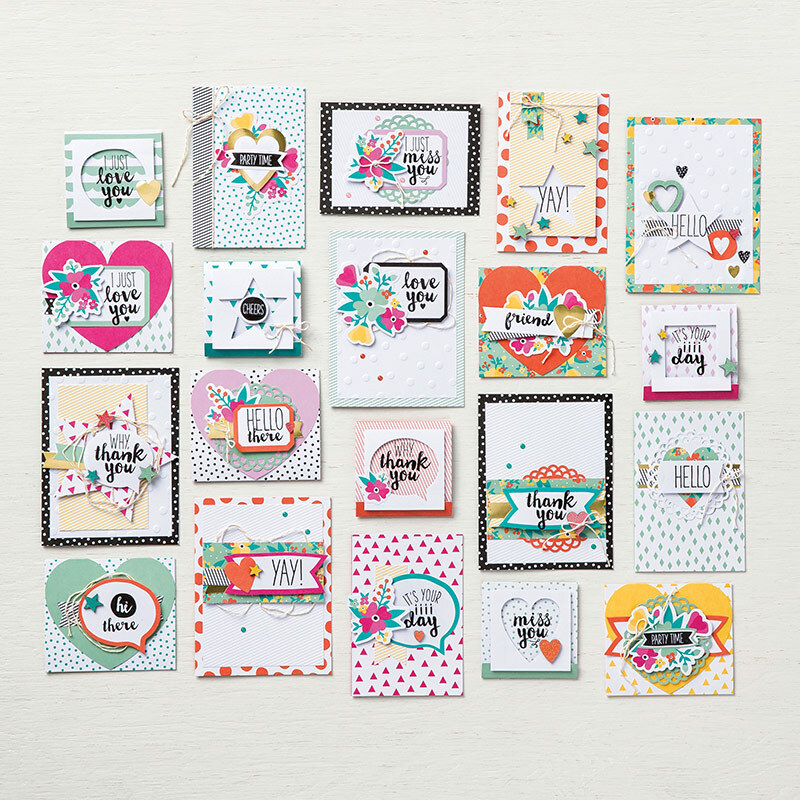 The Oh Happy Day Card Kit is themed around the gorgeous shades of Basic Black, Bermuda Bay, Daffodil Delight, Melon Mambo, Mint Macaron, Tangerine Tango and White and is really cheerful and bright. 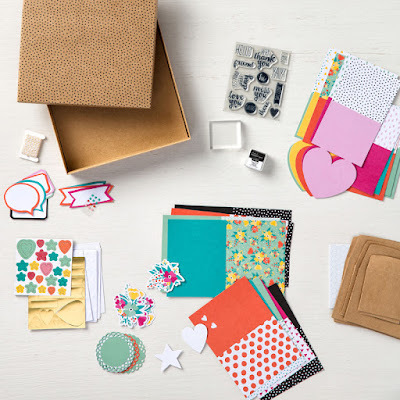 All the accents for each card are numbered and the instructions provided in the box make it so easy to create stunning cards of your own and the only thing you need to purchase is suitable glue. The cards once created can be used for many different occasions and it is such a nice feeling to give something you have made, somehow it feels so much more personal. The Stampin Up kits cost £31.50 which may seem a little expensive but only equates to £1.57 per card which is a lot cheaper than you can buy a decent card for. I have really enjoyed making a few of the cards and can't wait to do them all, I just need a little more free time to sit down and have a crafting day, it is so relaxing. Oh I love stamping up products! This looks like a great kit & like you said it really works out cheaper per card- and they're handmade! Wow, how cute are these?! I love them, not heard of that company before either. Stampin Up stuff is top quality. The kids (from age 4 to 11) all love it! 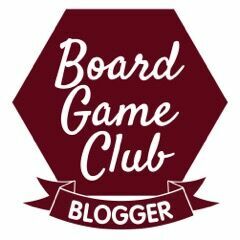 If you're gonna craft, I recommend them.